Are you ready to tackle a new challenge at university - why not try rugby? 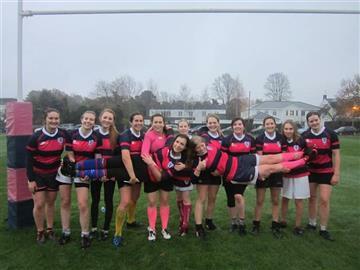 ECWRFC is Cambridge’s largest and most successful women’s college rugby team. That said, previous experience and athletic ability are definitely not essential! Most of us had never played rugby before joining Emma and training starts from an absolute novice level. There’s a position on the pitch to suit everyone, so all you need to play is enthusiasm and a desire to have fun. It’s a great way to meet new people and get fit without the monotony of the gym! We train weekly, with a college league starting in Lent term, and have plenty of socials throughout the year. Come and join the rugby family! For more details just contact Zoe Catherine Rice-Jones, come along to a training session or sign up at the fresher’s fair!